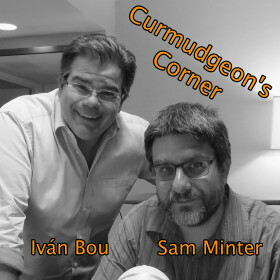 This week on Curmudgeon’s Corner Sam is joined by guest hosts Ed and Darryl. They of course talk about the Manafort and Gates indictment, the Papadopoulos guilty plea, and the ramifications of all that to the Mueller investigation. In addition, they discuss the continuing revelations on the degree of influence social media has on our political process, the civil wars in both the Republican and Democratic parties, an old Ehrlichman interview, the opioid crisis, and gerrymandering.